Sarasota Opera is a professional opera company in Sarasota, Florida, USA, which was founded as the Asolo Opera Guild and, until 1974, presented a visiting company's productions. Between 1974 and 1979, it set about mounting its own productions in the same venue until, in 1979, it acquired the Edwards Theatre, which became the Sarasota Opera House in 1984. The house underwent a further renovation in 2008, creating a 1,119-seat venue. In addition to two or three operas in the popular repertoire, each season typically includes an opera as part of the long-running "Verdi Cycle", the company's planned presentations of every Verdi opera, and one in the "Masterworks Revival" series. Sarasota Opera House, late March 2008. 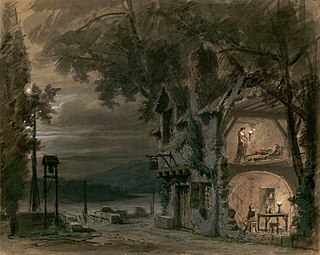 Initially bringing the Turnau Opera of Woodstock, New York to perform chamber-sized operas at the historic Asolo Theater on the grounds of the John and Mable Ringling Museum of Art, the guild then began mounting its own productions, also at the Asolo, in 1974, but when it acquired the Edwards Theatre in 1979, the company set about a rehabilitation of the old vaudeville and movie theater and opened it in 1984. Under the artistic direction of Victor DeRenzi since 1982  and executive director Richard Russell,  the company presents its Winter Opera Festival in February and March, usually offering four fully staged operas with the Sarasota Opera Orchestra. The repertoire includes standard works as well as lesser known operas. In March 2008, the Sarasota Opera House reopened after a $20 million renovation with Verdi's Rigoletto , and in the same year, the company added its first fully staged fall production, Rossini's The Barber of Seville bringing the number of operas presented in a season to five. For the most part, the Fall operas have been popular favourites, but in 2012, it presented Daron Hagen's world premiere opera, Little Nemo in Slumberland . The Sarasota Opera House is an historic theatre, now opera house, located at 61 North Pineapple Avenue in Sarasota, Florida. The vision of a local man and the first mayor of the town, A. B. Edwards. It originally opened on April 10, 1926 with an elaborate three-story entrance containing "eight shops on the ground floor, 12 offices on the second floor, and 12 furnished apartments on the third, while the theatre's auditorium contained an orchestral pipe organ. As noted on the Sarasota Opera's website, the Sarasota Herald Tribune hailed Edwards for "having admitted Sarasota into a fairyland of costly decoration, rich furnishings and never to be forgotten artistry." One of the company's longest standing initiatives is the Verdi Cycle, an effort—which began in 1989—to perform all of the works of Giuseppe Verdi, including every one of his operas (as well as all alternative versions), all his orchestral and chamber music, as well as the Requiem . In recent years, the Verdi Cycle operas have included I due Foscari , Giovanna d'Arco , I Lombardi and Otello . 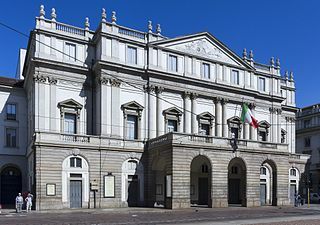 In 2009, the company staged performances of the composer's Don Carlo in the four-act version of 1884 (the "La Scala" version) in French. At the time, this was the largest opera ever presented by the company. Starting this fall, Sarasota Opera will launch a new venture entitled "Sarasota Firsts" in which the company will present operas never previously produced on the Sarasota Opera House stage. For the 2016/2017 season, Sarasota Opera will present three operas in association with this new series which will be Don Pasquale by Gaetano Donizetti , L'italiana in Algeri by Gioachino Rossini , and Dialogues of the Carmelites by Francis Poulenc . The season will also include Madama Butterfly by Giacomo Puccini and L'amore dei tre re by Italo Montemezzi . The series includes presentations of neglected works of artistic merit. Operas presented in this series have included Alfredo Catalani's La Wally , Carl Nielsen's Maskarade , Engelbert Humperdinck's Königskinder , Stanisław Moniuszko's Halka , and Mascagni's L'amico Fritz . The company also runs an Apprentice Program and a Studio Artists Program. Both programs provide young singers with additional training and performance opportunities in the chorus or other small roles in the company's productions. The SarasotaYouth Opera program, begun in 1984, is the most comprehensive training program designed for young people ages 8 to 18 currently in the United States. The program admits all who apply, regardless of skill level, and provides instruction in the musical and theatrical aspects of opera. In recent years, the Sarasota Youth Opera has mounted world premieres on Sarasota's stage, the best-known being The Language of Birds, and gave the United States premiere of Canadian composer Dean Burry's opera The Hobbit in 2008. In 2010, the Sarasota Youth Opera presented the opera The Black Spider by Judith Weir. Sarasota Opera presented the world premiere of Little Nemo in Slumberland, an opera the company commissioned with music by Daron Hagen and words by J.D. McClatchy, in November 2012. On November 12, 2016, the Sarasota Youth Opera will perform The Secret World of Og also by the Canadian composer Dean Burry based on the popular children's novel by Pierre Berton. Recognizing the need for a larger theater with an orchestra pit, the guild purchased the then-closed A. B. Edwards Theatre, which had been renamed as the Florida Theatre in December 1936. The theater had been built in 1926 by an important early resident of Sarasota, Arthur Britton Edwards, as a versatile performance venue that could be adapted for vaudeville or as a movie house. The guild members renovated the building beginning in 1982. The next year the A. B. Edwards Theatre was listed on the National Register of Historic Places, and was reopened as the Sarasota Theatre of the Arts in 1984. The name was changed to the Sarasota Opera House a few years later. From 2007 until the opening of the new season on 1 March 2008, the opera house was extensively remodeled and updated throughout its interior and exterior. The $20 million renovations included a gutting of the auditorium, resulting in a newly configured seating plan, expansion of the public areas and Opera Club on the second level, the opening up of the atrium to reveal a newly installed skylight system which had existed in the 1926 building. Seating has been expanded to 1,119. Tulsa Opera, located in Tulsa, Oklahoma, is the 18th-oldest opera company in the United States and was ranked by Opera News magazine among the 10 favorite regional opera companies in the nation. The company produces three operas each season performed at the Tulsa Performing Arts Center. Cape Town Opera (CTO) is a professional opera company in Cape Town, South Africa. CTO was founded in 1999 by the management and staff of the former South Africa Arts Council Opera and the Cape Performing Arts Board (CAPAB), itself a successor to the Cape Province Performing Arts Council and the previous Opera School at the South African College of Music at the University of Cape Town, which had been founded in the early 1920s under the Italian tenor Giuseppe Paganelli. Longborough Festival Opera is an opera festival which presents a season of high quality opera each June and July in the English Cotswolds village of Longborough in north Gloucestershire. It began in 1991 as Banks Fee Opera by presenting concerts, and moved forward with operas presented by a travelling company. This was followed by converting a barn into an opera house. Audiences grew rapidly in the 1990s and, during the last decade, a focus on Wagner's operas led to three complete Ring Cycles being performed in 2013. The present chairman of the festival is Martin Graham, the music director Anthony Negus and the artistic director is Alan Privett. The Asolo Repertory Theatre or Asolo Rep is a professional theater in Sarasota, Florida. It is the largest Equity theatre in Florida, and the largest Repertory theatre in the Southeastern United States. Asolo Rep is a resident regional theatre company which also invites in guest artists. It works in conjunction with Florida State University's MFA Acting program, the FSU/Asolo Conservatory for Actor Training. 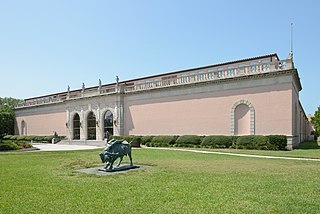 It is currently housed in the Florida State University Center for the Performing Arts, which is a multi-theater complex, located on the John and Mable Ringling Museum of Art property. The 2008–2009 season marked Asolo Rep's 50th anniversary. The Florida State University/Asolo Conservatory for Actor Training or FSU/Asolo Conservatory for Actor Training is a three-year graduate program culminating in a Master of Fine Arts degree in Acting. The program is operated by Florida State University in conjunction with the Asolo Repertory Theatre. The Philadelphia La Scala Opera Company (defunct) was an American opera company located in Philadelphia, Pennsylvania that was actively performing at the Academy of Music between 1925 and 1954. In 1955 the company merged with the Philadelphia Civic Grand Opera Company to form the Philadelphia Grand Opera Company. The Metropolitan Opera House (MOH) is an historic opera house located in Philadelphia, Pennsylvania at 858 North Broad Street. It has been used for many different purposes over its history. Now known as the Met Philadelphia, the theatre reopened in December 2018, after a complete renovation, as a concert venue. It is managed by Live Nation. Marguerite Bériza was a French opera singer who had an active international career during the first half of the 20th century. She began her career as a mezzo-soprano at the Opéra-Comique in 1900; ultimately transitioning into the leading soprano repertoire at that theatre in 1912. She performed extensively in the United States from 1914–1917 and was also heard as a guest artist at theatres in the French provinces, Monaco, Portugal, and Switzerland during her career. In 1924 she founded her own opera company in Paris with whom she actively performed up until 1930. Francisco "Frankie" Javier Alvarez is a Cuban-American stage, film, and voice-over actor, known for his role as Agustín Lanuez in the HBO series Looking, and its subsequent series finale television film, Looking: The Movie. ↑ Fleming, John (March 31, 2016). "Sarasota's Verdi: Every Opera, and complete pleasure". Classical Voice North America. ↑ "Welcome". American Institute for Verdi Studies. ↑ Lawrence A. Johnson, "Sarasota" (review of Of Mice and Men), Opera (London), August 2013, p. 1030.